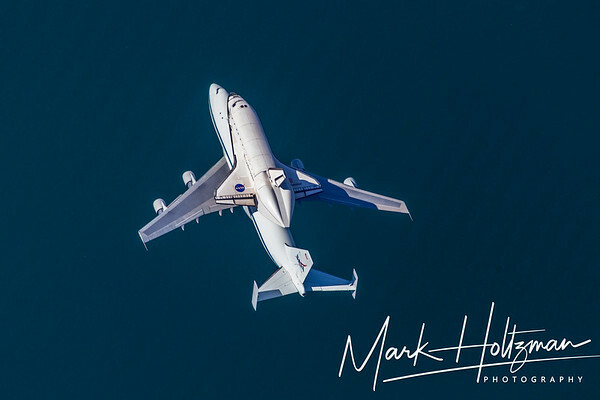 Aerial views of NASA's Space Shuttle Endeavour flying over Southern California before landing at LAX. It will be on permanent display at the California Science Center in Los Angeles, CA. Space Shuttle Endeavour over the ocean in Long Beach, CA.